A great opportunity is coming up for army job aspirants. 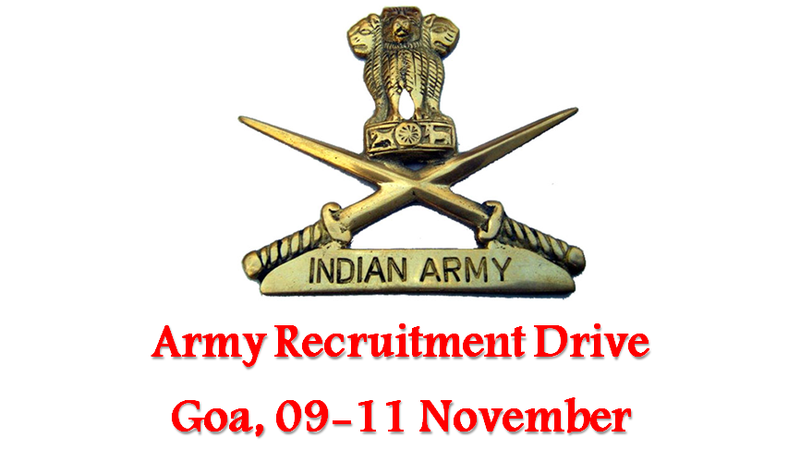 Indian Army will conduct recruitment rally for Goan candidates from 09 November 2016. Kolhapur army recruiting officer will conduct army recruitment drive for the candidates of Goa. The recruitment drive will be held for selecting eligible candidates for soldier posts (general duty, technical, store keeper, tradesman). Interested and eligible candidates can appear for the recruitment drive at 3 Technical Training Regiment, Bambolim till 11 November 2016. How to apply for the army recruitment rally? 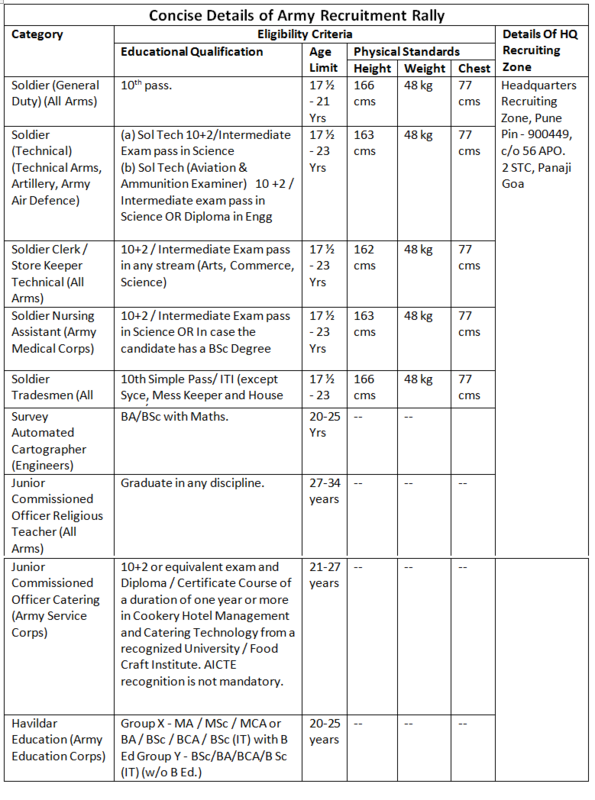 While 10+2 is a required qualification for all the disciplines mentioned above, candidates interested to apply for Solider General Duty and Soldier Tradesman must have minimum qualification of SSLC with 45% marks in total and 33% mark in each subject. For Soldier Technical intermediate pass in Physics, Chemistry, Maths and English subject is a must (50% aggregate and 40% in each subject). For soldier nursing assistants candidate must have Physics, Chemistry, Biology and English as subjects in intermediate (10+2) exam. Candidates applying for Soldier Clerk post are required to have passed 10+2 exam in either science, arts or commerce. SSLC/ ITI pass is a must for Soldier Tradesman applicants.